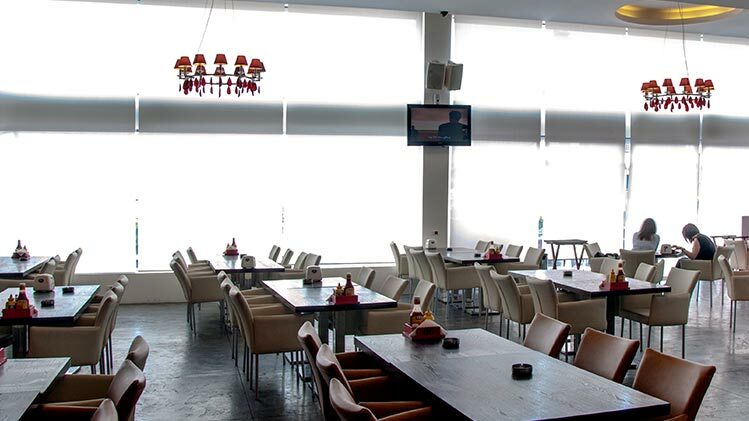 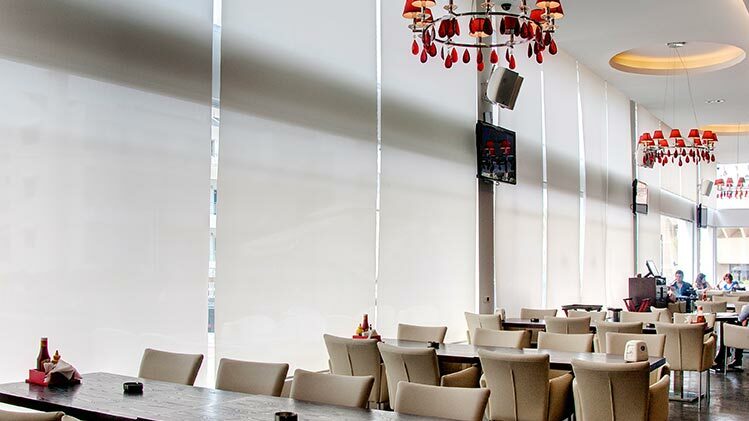 We enhanced Asyad’s look by installing 25 sqm motorized sunscreen blinds. 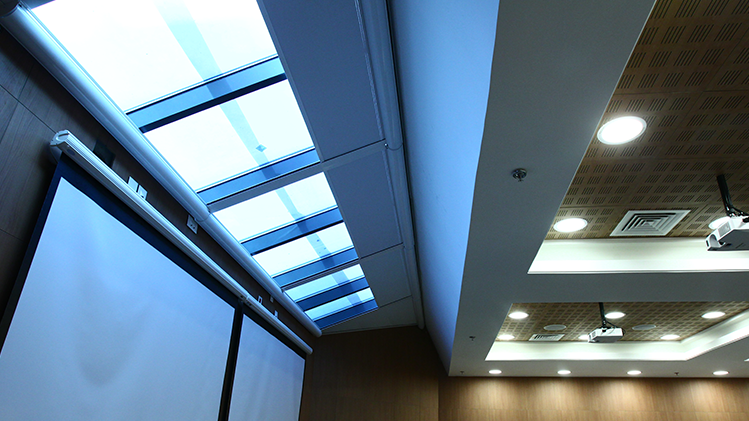 The Lebanese American University (LAU) is an accredited, private American university located in Beirut and Byblos, Lebanon. 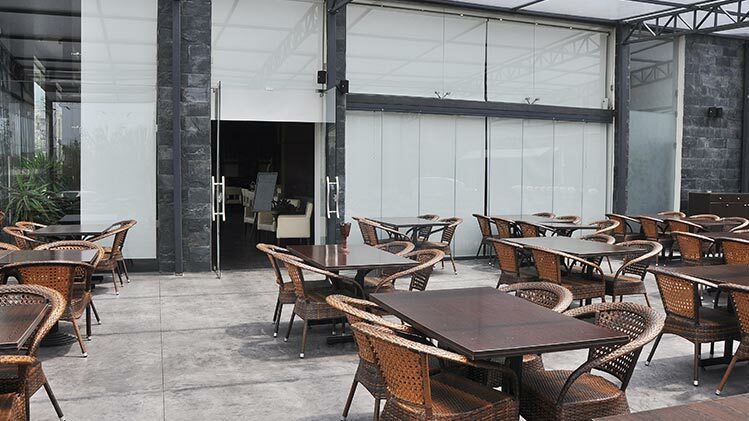 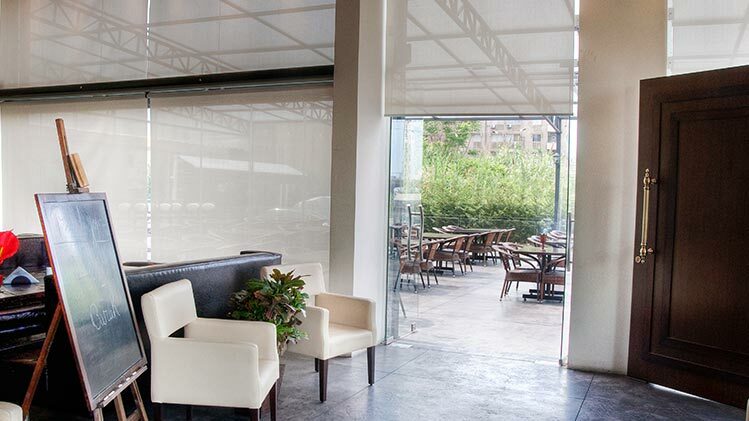 We successfully installed 2000 sqm motorized sunscreen and black out Hunter Douglas roller shades, operated by Somfy, also Sky Light Veranda System with trapezoid shape to offer excellent heat control, privacy, and quality materials and fabrics. 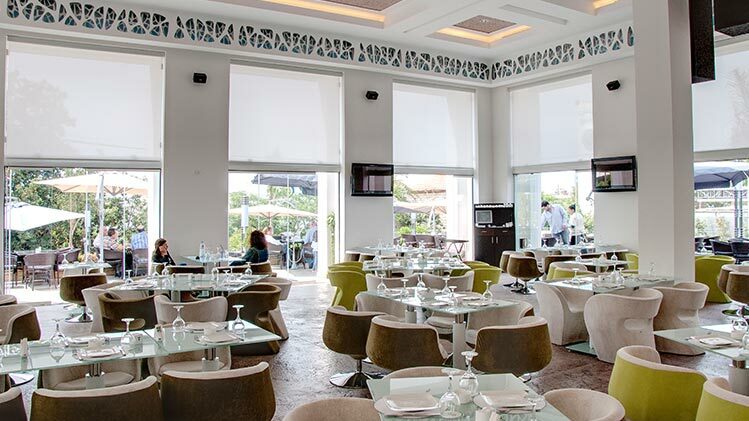 Maysoun is a restaurant in Beirut. 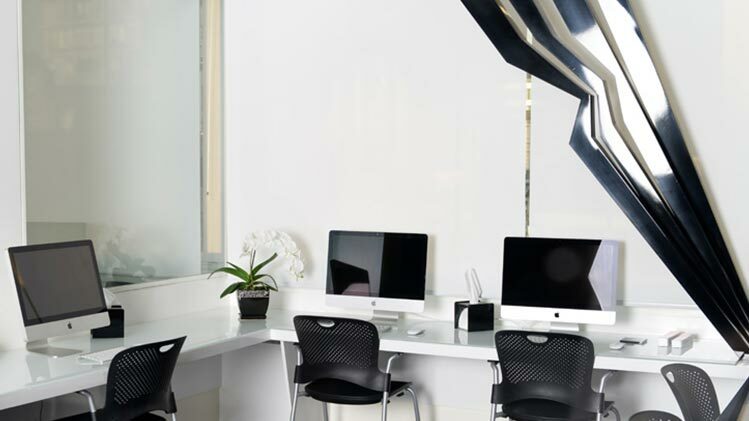 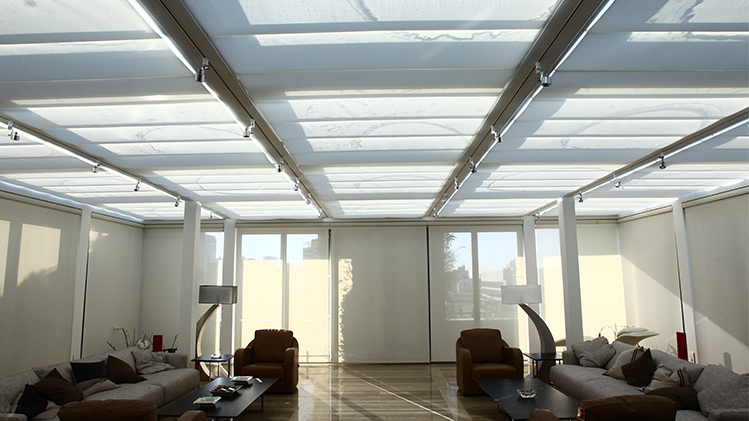 We installed 220 sqm motorized sunscreen roller blinds to help control the sunlight entering the place. 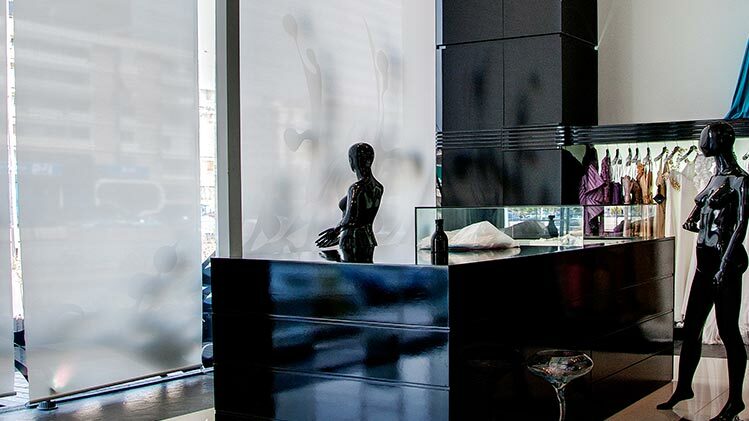 High-end luxury fashion house in Down Town Beirut and Antelias. 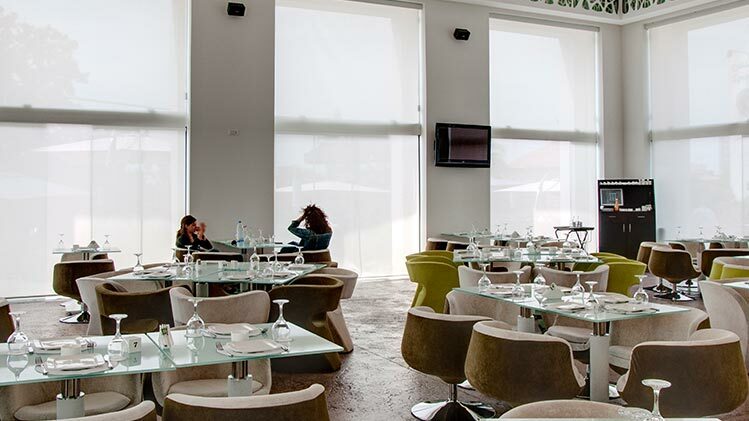 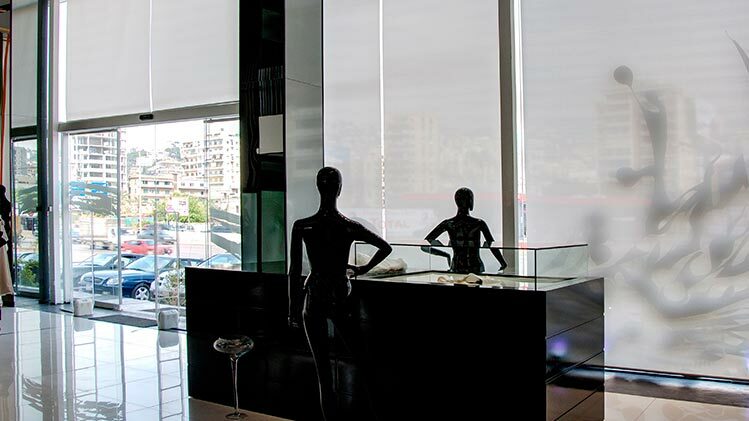 M.R Design chose Bitar Company to dress their windows in 560 sqm motorized sunscreen roller blinds of 600 cm height. 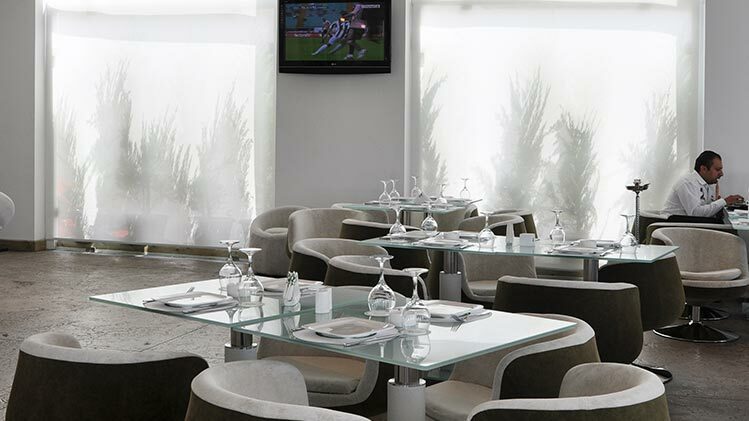 A Lebanese restaurant in Beirut. 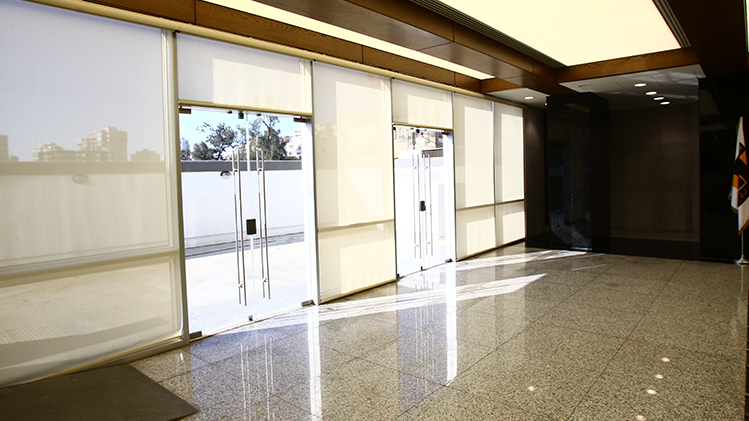 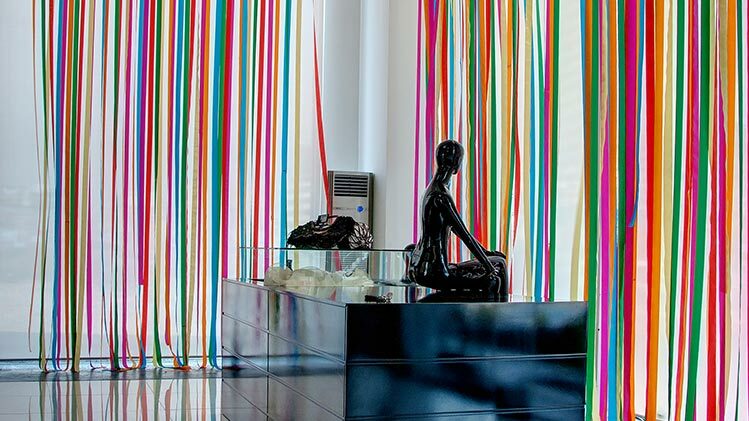 We installed 220 sqm motorized sunscreen roller blinds with blind boxes. 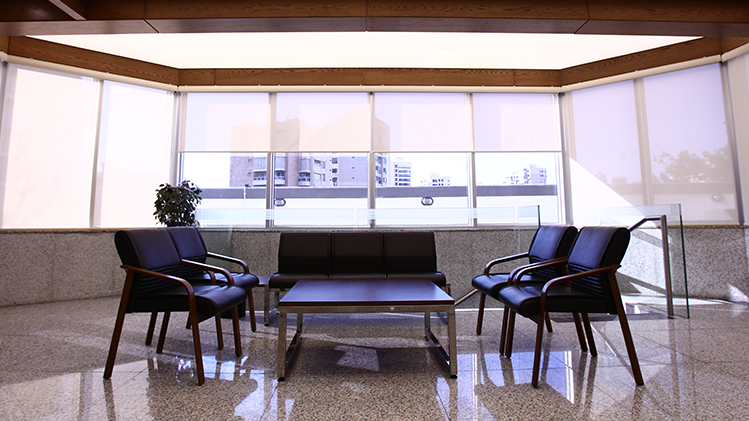 A large commercial center located in Bir Hassan, Beirut, comprising high end, spacious offices occupied by multinational companies. 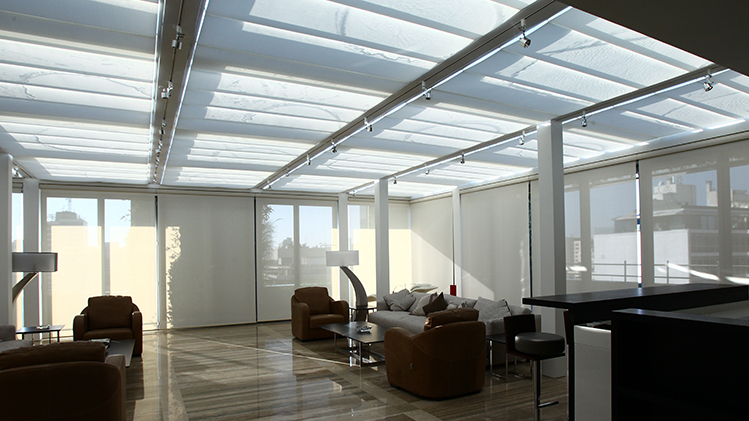 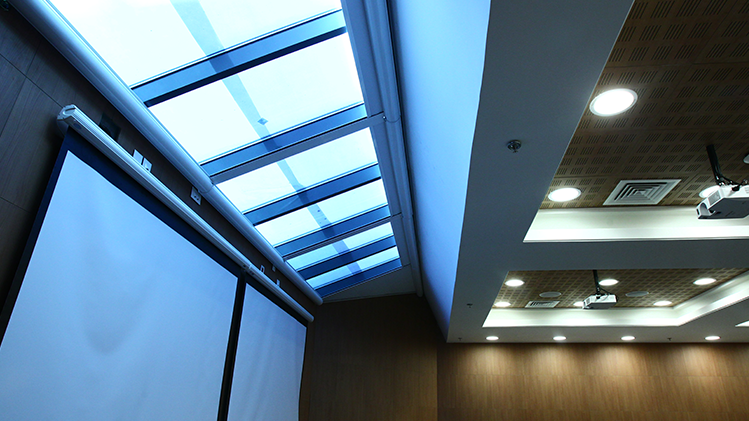 We installed 450 sqm motorized sunscreen roller blinds and 600 cm Garden Skylight system with sun and wind sensors. 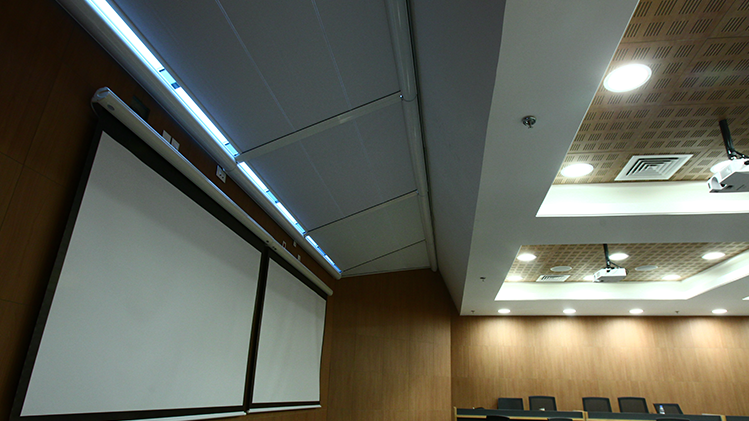 The syndicate promotes the engineering and architecture practices in Lebanon, raises awareness about the rights of the engineers, and seeks to resolve all disputes between them and their customers. 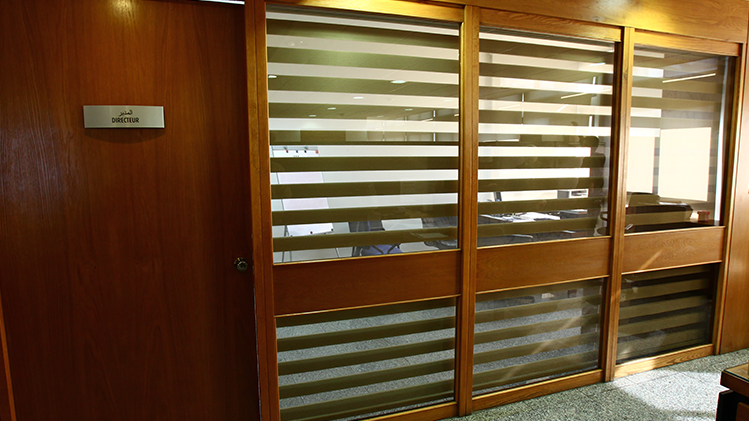 We proudly took up this project and installed 2700 sqm motorized black-out and sunscreen roller blinds up to 700 cm in height with side guides. 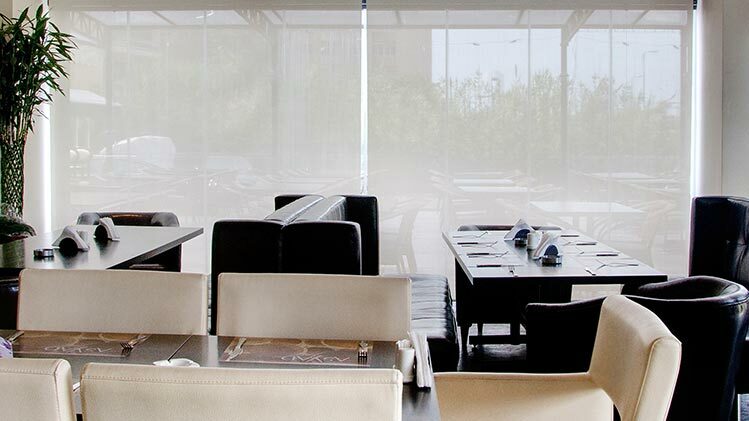 SIEGMA is a telecom and marketing company headquartered in Lebanon. 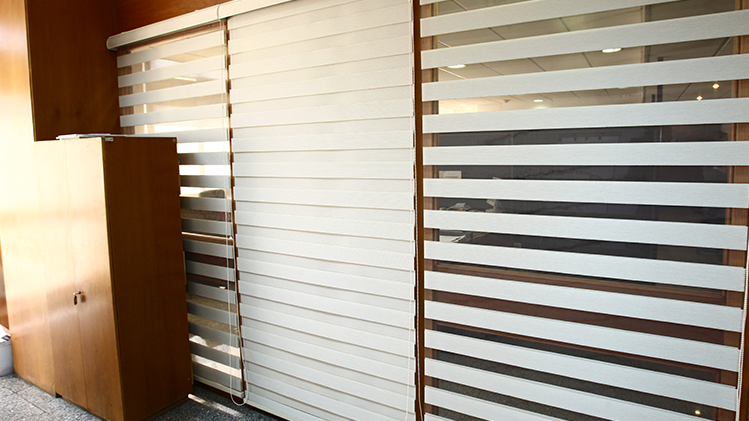 Bitar Co. took a big part in the company’s interior decoration by installing motorized roller blinds, operated by Somfy, and manual venetian blinds system allowing maximum comfort, light control, privacy and durability.